A data breach occurs when cybercriminals unethically extract useful and important data from somewhere after infiltration. Data breaches have become quite common. We have seen a number of examples where the world’s biggest companies, brands, and organizations faced data breaches and hacking. Hacking is usually done remotely and the purpose is same; to get out sensitive data and information. There are different ways to do it. Sometimes, the competitors do hacking to get the sensitive information of a business and many times it has happened due to internal resources and weak data safety and protection. Below are few examples of the biggest data breaches and what kind of data was extracted during these breaches. Yahoo data breach that occurred in August 2013 and data of more than 4 billion users was leaked. Experts believe this was the biggest data breach where such huge user data was stolen. Equifax lost data of 145.5 million users in 2017.
eBay also suffered the same attack where it could not protect sensitive data of 145 million customers in 2014. There are many other examples that prove every kind of business, no matter how big and powerful they are, can suffer from such attacks. The loss of data breach is just unimaginable. Yahoo has lost its charm and millions of customers who learned about the data breach and changed their loyalty. The ultimate result of hacking and data breaches is the destruction of the business, company or organization. All the companies nowadays are doing their best to protect their data from any type of attacks and cyber activities. Yet, many have failed to protect their data and customer information. We are going to discuss what the consequence of hacking and data breaches can be to understand the importance of cybersecurity, workplace safety and data protection for every business. The companies with weak cybersecurity or not paying attention to the user data, customer information and how to keep them safe suffer at the end. They become victims of the attacks and data of millions of people is lost. This makes any business face serious consequences and backlash from the users. The ultimate goal of hacking and data breaches is to extract important and sensitive details. Big companies have faced this because of the data of millions and even billions of users. This can be really important for hackers. But it leads to the destruction of a business and it loses customer trust in a short time. 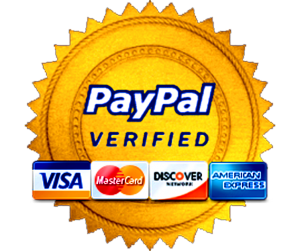 Most of the time companies face the problem when the important and even sensitive financial details, agreements and other types of records are stolen and hacked. The damage is done and it can never be averted. But companies can enhance their security and protection of the data. Many banks have lost millions of dollars after the bank accounts of customers were hacked and money was transferred to other accounts. The banks are responsible for such financial losses of the clients. Apart from this, many companies lose data and agreements that can lead to financial problems and losses for them. There have been many cases when the companies lost important data after major security breaches and hacking. The data revealed these were operating against the rules and business laws. Thus the owners were arrested and they faced serious consequences. All the companies and businesses have their important intellectual properties and patents that they may lose during data breaches. The company computers and software are hacked to get access to such data and properties. This creates serious problems for the companies and they may end up losing their business and finance as well. Whenever the data breach occurs, companies face backlash and criticism from the customers and users. Their competitors misuse this opportunity to show these companies as weak and careless to user data. Facebook lost data of more than 25 million users and its worth dropped down drastically within a week. The impact of a data breach is unimaginable as well as destructive. How to Prevent Major Data Breaches and Hacking? Now it is clear the loss can be huge and we cannot calculate the impact. The companies are ruined within days and they have no option or chances to get what is lost. Hackers demand huge amounts of money to return the data and prevent damages. But when it becomes public, customers and users are not willing to buy products or services of the company anymore. However, the companies can stop this and protect their data from hackers as well as intruders. It has been noticed the internal sources were found responsible in many cases of data breaching and hacking. The staff and employees of a company many times cause such attacks. They reveal the secret information and can do even more damage than hackers. 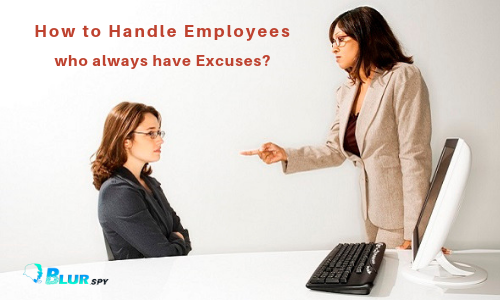 The managers should know how to handle employees. Employers should keep eyes on their staff and every employee. There should be monitoring and workplace surveillance in order to make sure no data or information is lost. 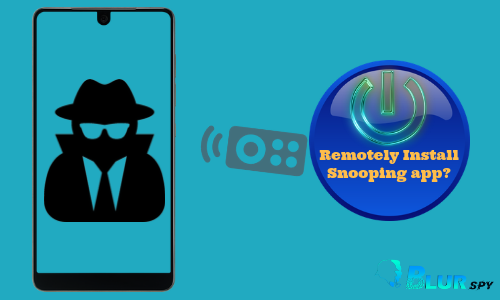 BlurSPY cell phone spy is a monitoring app that has been designed for employers to let them feel relaxed and satisfied regarding data protection and workplace safety. 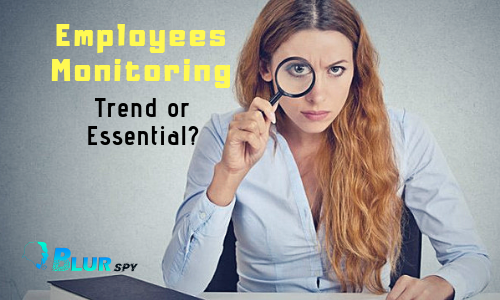 The app allows users to monitor the employees, staff, keep eyes on their activities, track locations, check their internet use, view browsing history as well as capture the screens of their devices. The app can be phenomenal for any business to improve the safety of devices as well as the workplace. Any business or company can face data breach and hacking. The damage can never be undone but it can be prevented with better safety, protection and improving vigilance on employees with BlurSPY Android spy software.